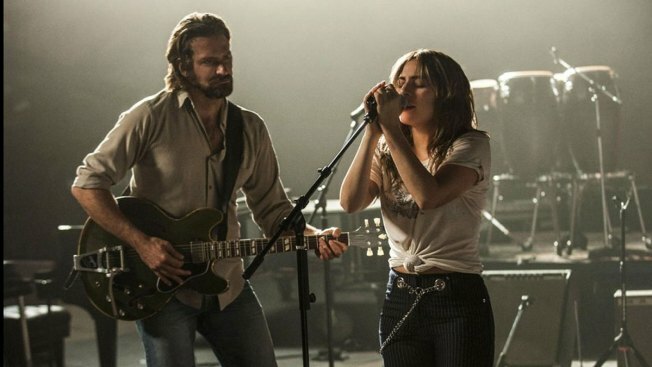 Bradley Cooper's directorial debut "A Star Is Born" with Lady Gaga is among the selections announced Tuesday for this year's Toronto International Film Festival. Films starring Timothee Chalamet and Hugh Jackman as well as Bradley Cooper's directorial debut "A Star Is Born" with Lady Gaga are among the selections announced Tuesday for this year's Toronto International Film Festival. Other world premieres include "The Front Runner" starring Jackman as former presidential candidate Gary Hart, "Life Itself" from "This Is Us" creator Dan Fogelman, the police shooting drama "The Hate U Give" and Steve McQueen's "Widows." Tuesday's announcement was scaled back and handled by press release because of Sunday's attack in Toronto's lively Greektown neighborhood left two people and a gunman dead. Among the 47 films announced, 13 are directed by women. Chalamet, an Oscar nominee for last year's "Call Me By Your Name," plays a meth addict whose recovery is seen through the eyes of his father, played by Carell. "The Front Runner," from director Jason Reitman, chronicles Hart's rise and fall as the 1988 Democratic presidential nominee after his extramarital affair became tabloid fodder and a national scandal. Other notable films screening at the festival include the Neil Armstrong film "First Man," which stars Ryan Gosling as the astronaut. It is directed by Damien Chazelle and is his first film since the Oscar darling "La La Land." Barry Jenkins' "If Beale Street Could Talk," based on a novel by James Baldwin, will also premiere at the festival. "Moonlight" beat out "La La Land" for best picture at the 2017 Academy Awards. The festival's opening film will be "Mouthpiece" from Canadian director Patricia Rozema. The closing film will be Cannes Film Festival winner "Shoplifters" from Japanese director Hirokazu Kore-eda.